It is important that you gain maximum return on your investment by keeping your solar panels in good working order. Annual cleaning is the most important element of solar panel maintenance because it directly impacts the effectiveness of your system. Pollution, dust, leaves, and bird debris all contribute to preventing sunlight from reaching the solar cells in your solar panels. The absorption loss due to dirty panels can amount to as much as 25%. We firstly rinse the panels to remove lose debris and with soft brushes and purified water agitate the panels to remove stubborn items before finally rinsing the whole area leaving crystal clear and streak free to maximise efficiency. 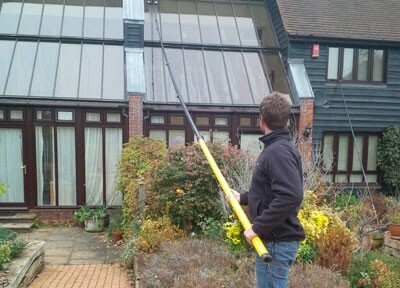 Discounts are available for this service to be incorporated into a regular window cleaning regime saving even more money.